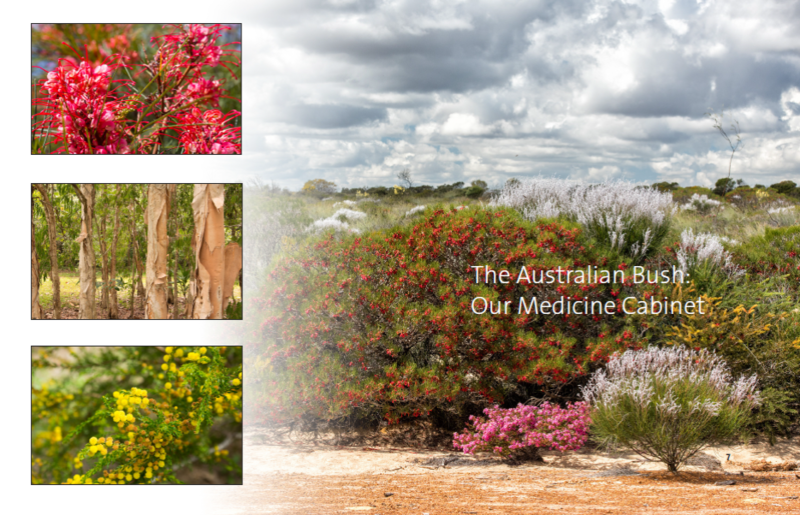 As an Australian organic health and beauty product company, we look to the wisdom that comes from the Outback and how we are using knowledge of the indigenous cultures in our product lines. We base our ideas on the premise that nothing works better than the ingredients that come from nature. The plants, the ocean and the minerals, which are unique to Australia. Over the last 10 years, we've been building our foundation, one ingredient at a time, from the natural abundance that Australia lends to us. We have learned to extract and combine the most powerful ingredients into our product lines. It's because of our passion for all things organic that we believe our formulas are the best ever created. Our avocados are grown under bio-dynamic methods without the use of artificial fertilisers or chemicals. The extra virgin oil is cold pressed, filtered and bottled under N2 gas without the use of heat, solvents or additives. Avocado oil has excellent keeping qualities because of an inbuilt antioxidant system. Avocado contains a high percentage of monounsaturated fatty acids, vitamins A, B, and D and is rich in lecithin. For use in skin applications, it is thought that despite it's viscosity it has the ability to penetrate the upper layers of the skin. Avocado oil is valuable for its effects on dry and wrinkled skin, burns and sunburns. Belonging to the Lauraceae family, the camphor tree is a majestic tree which can attain 50 m. Its foliage is persistent and aromatic, first pinkish then light green. It originated in the Far East and the Mediterranean regions. Traditions : Camphor has long been used to treat disorders of the nervous system and respiratory tract. Camphor essential oil is extracted by distillation of the wood or foliage. A stimulant, it fortifies the hair and boosts blood circulation. It also possesses antiseptic and tonicardiac qualities which leave a purifying and energising sensation on the body. Coconut is the fruit of the coconut palm which grows in tropical regions. The tree's tall, slender trunk is topped by crown of leaves. The fruit is protected by a large, fibrous shell, and its firm, white flesh and milk are edible. Copra oil is extracted from the fruit and often used in cosmetology to tone and protect skin. Cocoa butter is extracted from the dried seeds of the cocoa tree, a native of tropical America and Asian countries, by cold pressing during the process of making chocolate and cocoa powder. Cocoa butter has a 40-60% monosaturated fat content, is yellowish white in colour and has a mild chocolate fragrance. This evergreen tree belongs to the Myrtaceae family. With an average height of 30 m, it can reach 100 m in Australia. It is called "blue gum tree" due to the blue liquid which oozes from the trunk when it is cut. Eucalyptus is recommended in the treatment of respiratory tract disorders such as bronchitis or influenza, for example. Because it is a febrifuge, it has been nicknamed "fever tree". Geranium is a perennial plant commonly found in Europe. Its new vegetation is tender, green and rich in sap. Having a high content of essential oils, it has been valued over the centuries for its soothing and astringent action on skin. The pleasant fragrance of its essential oil has made Geranium a key ingredient for the perfume industry. This is produced from vegetable fat. It helps with the smooth consistency of the products. Only plant derived glycerin is permitted in Y-Not Natural skin care. Lavender grows abundantly in France, and its blooms lend a lovely purple-blue colour to the sunny hills of Provence during the summer season. This "real" lavender has an extremely delicate scent and yields the purest of oils. Its medicinal properties come from the different constituents found in the essential oil. Lavender has a sedative action and is recommended in treating nervous states and anxiety. The essential oil also has an antiseptic and anti-inflammatory action. The Lemon tree seems to have originated in Assyria. It spread eastward and became particularly well established in India later moving westwards. It was cultivated by the Romans, who called its fruit "green apples". It was the Arabs who first introduced the tree into Europe in the 12th century. The fruit's pulp and juice are traditional ingredients of recipes handed down over the centuries. Its cosmetic virtues have long been known. The delicate fragrance, abundant vitamin C and fruit acid content is still widely used to soothe and tone skin, as well as lighten skin colouring. Is high in vitamin C that helps improve resistance to infections and has rejuvenating properties which will brighten dull skin. Other benefits of lemon oil for skin care include its effectiveness in killing germs, clearing acne, cleaning greasy skin and hair, and removing dead skin cells. Some of the main medical uses are as an antiseptic, antibacterial, and antioxidant. Mango butter is obtained from the kernels of the mango tree. It has a high content of stearic acid which makes it similar to cocoa butter. Mango butter has good emolliency and lends protection against the sun. It is said to prevent drying of the skin and formation of wrinkles. Mango butter also reduces degeneration of skin cells and restores elasticity. Mango butter's hardness makes it a great butter for stick formulations such as lip balm and lotion bars. It can be used "as is" to provide relief from the dryness of eczema and psoriasis. Patchouli is a plant originally from Indonesia and Malaysia. The essence is distilled in Indonesia,China and India. Derived from the Tamil words 'patch' (green) and 'ilai' (leaf). The dried leaf is a moth repellent. First imported into England in the mid-19th century, it became a basic constituents of aromatic sachets, potpourris and perfumes during the Victorian period. Medicinal properties The herb is used in Asia as a treatment against colds, headaches, nausea and stomach pains. In Japan and Malaysia, it is used as an antidote for poisonous snake bites. Its odor helps achieve mental balance and has a beneficial effect on emotional sensitivity. Castor beans are pressed to extract castor oil which is used for medicinal purposes. Ricin does not partition into the oil because it is water-soluble, therefore, castor oil does not contain ricin. Castor Oil has been used therapeutically in ancient India, China, Persia, Egypt, Africa, Greece, Rome, the Americas, and in 17th century Europe. Today it is used as an emollient and skin softener, treatment of gastrointestinal problems, lacerations, and other skin disorders such as psoriasis. Common sage is a sub-shrub of the Lamiaceae family whose leaves have a velvety feel, being coated with woolly hairs. The entire plant emits a powerful aromatic odour, with a hot, bitter flavour. Its name, salva, means to save or to heal in Latin. The peoples of Antiquity considered sage as a panacea. A women's plant, it is reputed to treat hormonal problems and painful deliveries. It is often cultivated in gardens to make condiments or simply for its beauty. The leaves and flowers are distilled in water vapour. The essential oil obtained is rich in phenolic acids, giving it antiseptic properties. It is used in anti-ageing creams since it possesses softening, protective, anti-free radical properties. The essential oil also has a deodorising action. Camellia is an evergreen tree native to Asia with flowers that blossom early in the season. Oil extracted from the flowers has a subtle and gentle fragrance used in cosmetic formulations. Anti-oxidants have gained popularity in the dermatology community as research has demonstrated their beneficial effects on the skin. Green tea contains a variety of polyphenols that have been shown to confer significant photoprotection and to function as anti-oxidants. The most studied of these are (-)-epigallocatechin-3-gallate (EGCG) and (-)-epicatechin-3-gallate (ECG). In a study by Elmets et al., the skin of volunteers was treated with green tea polyphenols (GTP) or vehicle and, 30 minutes later, irradiated with two minimal erythema doses (MEDs) of ultraviolet light. Skin treated with GTPs or vehicle and not irradiated served as the controls. On histologic examination, the GTP-treated skin showed a 66% reduction in sunburn cells and a 58% reconstitution of Langerhans cells compared to the two untreated control groups. Objective assessment utilizing a chromameter revealed that the GTP-treated skin also showed a dose-dependent reduction in erythema. In addition, the extent of UV-induced DNA damage, as assessed by a 32p–post-labeling technique revealed significantly less DNA damage following GTP application. Interestingly, GTP conferred protection beginning at 24 hours post-irradiation and continuing for 48 hours to 72 hours. GTP appeared to confer photoprotection by a novel mechanism since it did not absorb wavelengths within the UVB range.13 Green tea extracts are increasingly added to moisturizers designed to help improve the appearance of photodamaged skin and to provide anti-oxidant benefits. An important caveat concerns whether products contain sufficient levels of green tea extracts to deliver these benefits. Shea Butter is extracted from the pit of a fruit, resembling a plum, which grows on the Mangifolia Tree, also called the Shea Nut Tree. The Shea fruit is gathered and the nuts are removed, dried and pulverized into a fine paste. This paste is boiled and the Shea Butter separates to the top. The moisturizing power of Shea Butter was once a revered secret of the natives in the savannas of Central Africa, where the Mangifolia Tree grows wild. Traditionally, Shea healing butter has been used in Africa as a healing balm for rheumatism, muscle aches, burns, and light wounds. Shea Butter softens and nourishes skin and is believed to have antioxidant and regenerative properties. This emollient is especially useful for renewing skin suffering from the effects of sun or wind. An African legend says that "These trees are the wefts of our life's dreams". A butter which gives skin soft and silky texture is obtained from Shea nuts. Its moisturizing and protective properties are used for cosmetic purposes. The non-saponifiable fraction extracted from Shea has a powerful anti-oxidant action. Backhousia citriodora - Lemon Myrtle is a native Australian tree growing naturally from Brisbane to Rockhampton in a range of altitudes from 50 to over 800 m above sea level. The Sunshine Coast and Proserpine area are identified as main areas of natural strands. Backhousia citriodora was named by Baron Ferdinand von Müller in 1853 after James Backhouse (1794-1869), an English nurseryman and keen botany collector. Backhouse was an early Quaker missionary who visited Australia in 1832-8, making observations of Australian flora and fauna as well as writing about Australian society at the time. In 1889 Joseph H. Maiden reported the potential use of Lemon Myrtle for commercial production and Schimmel & Co analysed the species in 1888 for chemical properties identifying citral for the first time. In vitro research suggests that Lemon Myrtle is a powerful antifungal agent as well as showing significant antimicrobial activity and as such may be suited as a sanitiser. The first washing powders and cleaning agents are on the market and what could be better suited whilst cleaning to be surrounded by a clean green uplifting fragrance, the ultimate lemon aroma coming from Lemon Myrtle. The olive tree is a native of the Mediterranean countries and has been used for a long time for its therapeutic properties.The olive is a sacred tree. For many years the oil and leaves were used to make a cream for the athletes and wrestlers of ancient Greece and Rome. The leaves have a healing and toning action on the skin that is widely used in cosmetics. Vegetal perhydrosqualene is derived from the olive. Extremely moisturizing, it is similar to the lipids in the skin.